High quality Olympic 2” plates with rims and radius edges precision-milled for a perfect circular shape and truer dimensions. The machine-bored holes protect the user as well as the bar, facilitating easy plate loading and removal. All plates have raised silver numbers and letters for fast, easy selection and are coated with a satin enamel finish. Experience USA Olympic Weight Plate Set Gray O-355 2” plates with rims and radius edges precision-milled for a perfect circular shape and truer dimensions. 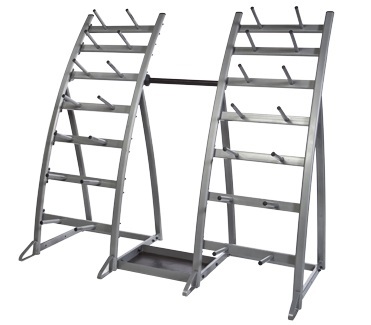 The machine-bored holes protect the user as well as the bar, facilitating easy plate loading and removal. All plates have raised silver numbers and letters for fast, easy selection and are a grey enamel finish. All plates are consistent in weight, size and quality. The Troy USA Sports 355 lb Gray Olympic Plate Set uses Troy's most economical line of Olympic plates. 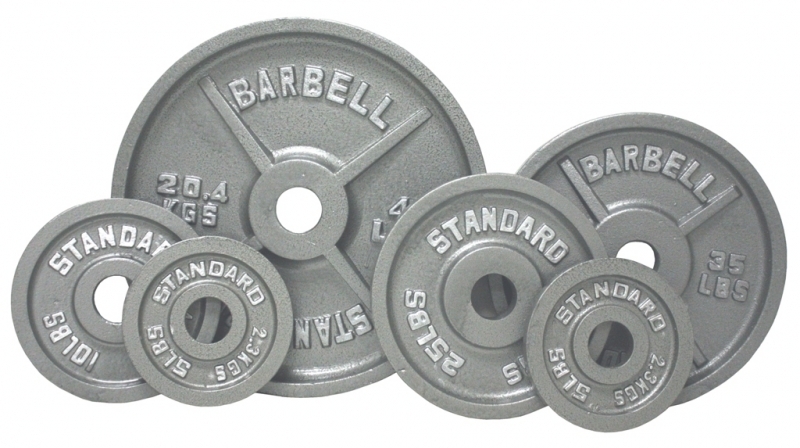 The Troy USA Sports "Standard" Olympic Plates offer solid cast iron construction. The USA Olympic Weight Plate Set Gray O-355 has a 1 year warranty. Order your USA Olympic Weight Plate Set Gray O-355 from FitnessZone.com today!